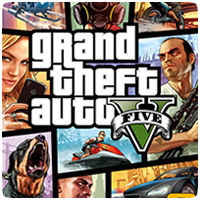 Rockstar has announced to special edition packs for Gran Theft Auto V: The Grand Theft Auto V Collector’s Edition and Grand Theft Auto V Special Edition. Both editions are now available for pre-order world wide, while stocks last. 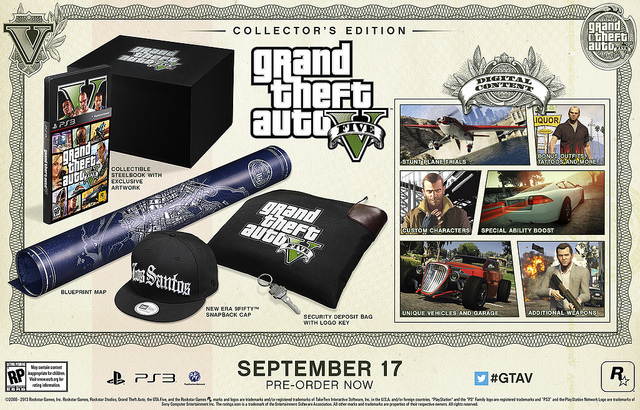 The Grand Theft Auto V Collector’s Edition will retail for $149.99, while the Grand Theft Auto V Special Edition will retail for $79.99. 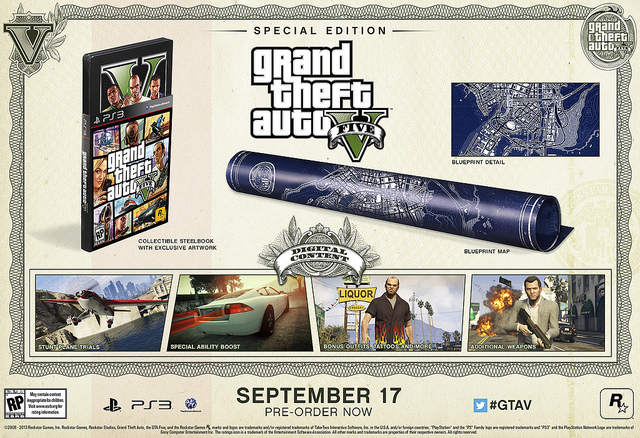 Both editions include special in-game bonuses, and pluysical GTA goodies.